At last recovered from a near-fatal gunshot wound, Lieutenant Abe Glitsky is back at work. 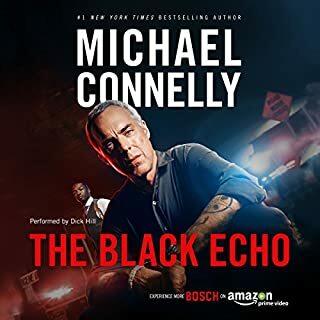 But instead of returning to his old job as chief of homicide detail, he's assigned a desk job in the payroll department, where he has no business investigating murders -until his father's closest friend is shot dead in a downtown pawn shop. Glitsky asks the new homicide lieutenant about the case, but the brass tells him to stay out of it. Guided by the Patrol Special - a private police force supervised by the SFPD that is a holdover from San Francisco's vigilante past - the police have already targeted their prime suspect: John Holiday, proprietor of a run-down local bar, and a friend and client of Dismas Hardy. Hardy has ample reason to doubt both his client's guilt and the evidence conveniently stacked against him. Hardy turns to Glitsky for help, but when Holiday is implicated in the grisly killings of two more men, their pleas fall on hostile ears. To avoid arrest, Holiday turns fugitive, and the police believe three things: that Hardy's a liar protecting Holiday, that Holiday is a cold-blooded killer, and that Glitsky's a bad cop on the wrong side of the law. And as the deadly pursuit for a murderer intensifies, Hardy, Glitsky, and even their families are directly threatened by the forces that want to see Holiday brought down. Cut off from the system that they both served, denied justice from the corridors of power, and increasingly isolated at every turn, Hardy and Glitsky face their darkest hour. For when the law that is meant to shield and protect those closest to them fails, they must look to another, more primal law in order to survive. 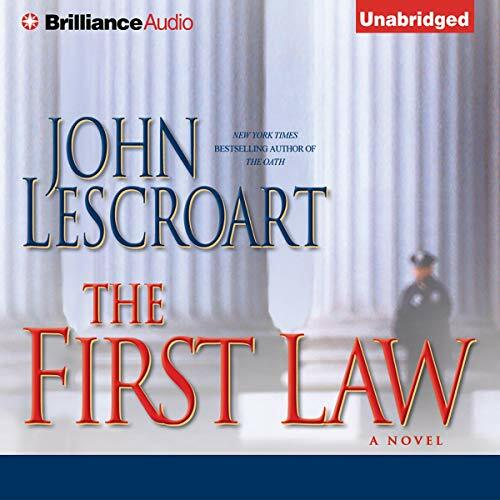 ©2004 John Lescroart (P)2004 Brilliance Audio, Inc.
Where does The First Law rank among all the audiobooks you’ve listened to so far? Glitzky is my favorite character in this audio book, as the embattled former lieutenant in this thrilling story. The author did a great job with the Glitzky character, who has no official authority in this story, but had to take charge in a complex case with corruption and incompetence in the SFPD. as usual, the ending is thrilling, pulling the multiple themes together. The various settings in San Francisco are well documented and life like, as I lived in or near the city for 20 years . this audiobook is a must have for your collection. lots of suspense and intrique. 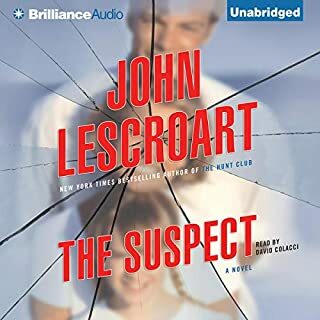 I've read 6 of Lescroart's books. This is the best yet. I honestly couldn't put it down. I'd been looking for a good police procedural and found it in The First Law - great characters and well crafted plot with unfolding clues. 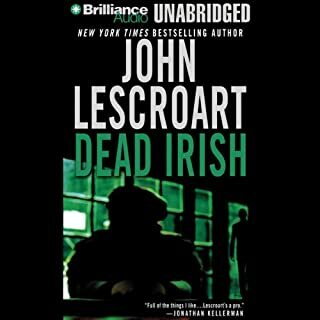 This is my first Lescroart and now I think I'll back up to the first book in the Dismas Hardy series. My only disappointments with this book were a few places that stretched credibility, and a strange narration. The narrator was brilliant with many of the character voices but also sometimes hesitant as if he was reading it for the first time. I didn't find this to be too much of a problem myself and I do highly recommend this book. I am a fan of Lescroart's work. I enjoy his characters, their interactions, the integrity of his presentation of law and policing. I enjoy his sense of humor -- the dry wit between friends, the intelligence of his women, the passion and commitment to 'seeing things through to the end.' End being Justice, doing the right thing -- but not self righteously -- purposes are measured and examined. The First Law was a key book in terms of the Dismas Hardy series -- how the lives of important characters evolve -- and also tackles issues of corruption. As usual, it was rich with action and human complexities. 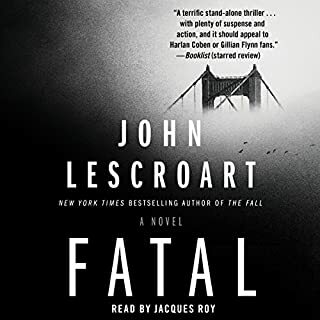 The reader, however, managed to present the book in a manner that all but removed the subtleties of Lescroart's skills. His-- admittedly rich -- voice had the impersonal tone of a newsreader. It was as if he was determinedly disinterested. Furthermore, his voices for the various characters lacked life and sympathy -- or variation. Above all -- and very strangely -- his phrasing defied the author's flow: he paused where and when he wanted to. The general result was to create an uncomfortable wedge between listener and the author. And I gave this book three stars because I really couldn't fully appreciate it because of the reader. However, I do highly recommend Lescroart works -- and especially those read by David Colacci. 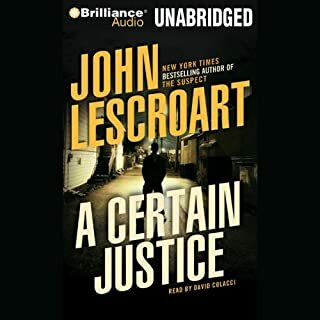 I have read all of John Lescroart's books, and now years later I am going back and listening to them on my ipod. 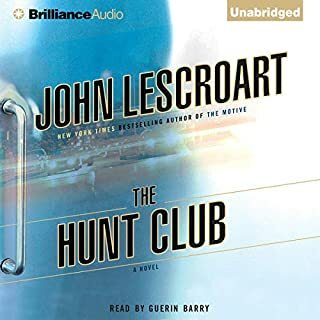 I walk my dog every morning and evening and find that I walk longer when I have a good book to listen to, and John Lescroart's are a great listen! However I didn't notice when I bought this one that David Calucci was not the narrator! I found this narrator does not have the same talent. The story may have been good but, unfortunately, I couldn't get past the talent's voice. I really am getting into Lescroat but this one didn't work for me. I would have rated this higher if Lescroart had imagined a way to crash that helicopter before the a*******s started shooting. Depictions of animal abuse always harsh my buzz, even when enjoying an otherwise great listen. That being said, this one contained an uncharacteristic level of raw violence for a lawyery book. I'd say this was Robert Lawrence's best performance of the three, and he's improved a lot. His voice was really well suited to the subject matter here. All in all, in my opinion, this was the most gripping of the series so far, and yes, I am a fan. Robert Lawrence has such a nice soothing deep voice. Love listening to him. Story was awesome. Lescroart is very addictive. There were too many characters to keep straight. Maybe that says more about me than the book. Hmmmmmm..... By the last two hours I didn't really care how it ended.